What I remember of the school dances when we were 13, 14 or even as old as 15 the girls stood giggling on one side of the gym, and the boys stood on the other side of the gym pretending to be bored. 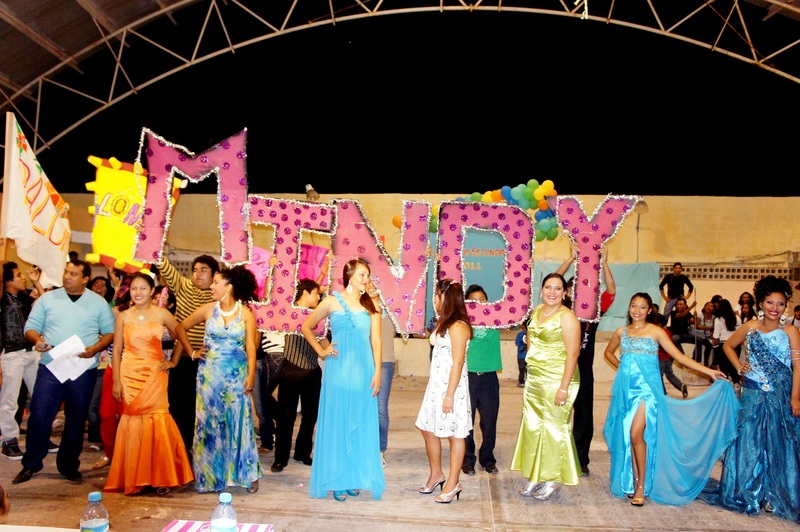 So, when we were invited to the “Senorita Secundaria” (Miss Secondary School) competition finale on Sunday we had limited expectations. Wow were we wrong! ﻿﻿The seven candidates were between 13 and 15 years old and for the talent portion of the competition they put together dance routines that were amazing. 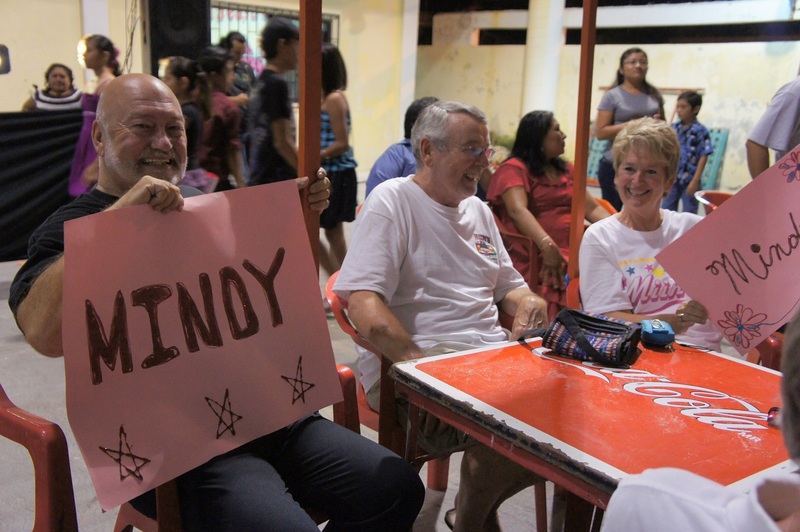 One of the contestants – our favourite Mindy Poot, the 13-year-old daughter of Fredy and Ana Poot – did two different dance routines, complete with costume changes. Our cheering section of ex-pat friends along with all of Mindy’s family and school friends did our best to create a lot of enthusiastic noise. 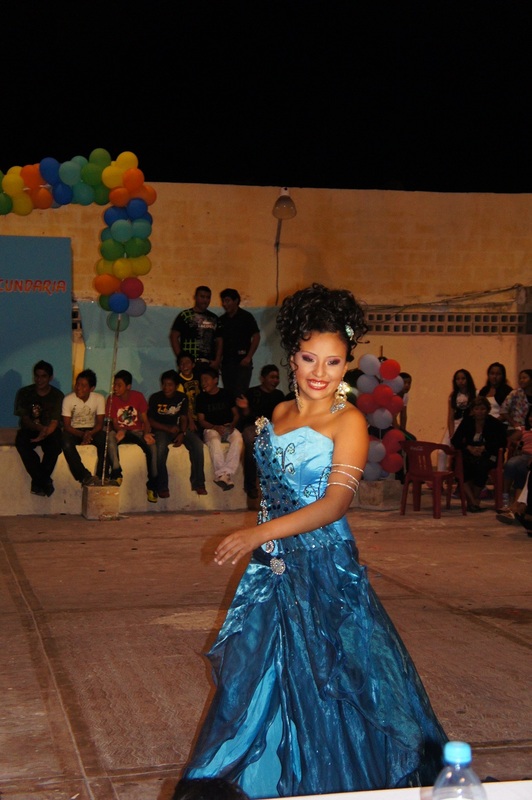 As for this Sunday night the first activity was a runway walk with all of the young women dressed in simple, and attractive outfits created by Gladys Galdámez, a local seamstress and clothing designer. Then they switched into originally designed dresses that were created from recyclable or recycled items. The outfits were very impressive. The third part of the evening the musical performance with very complex dance routines that would have left me tripping over my feet. Finally the young women had to answer a spontaneous question chosen randomly from the judges, finishing up with a short speech from each of the candidates. The speaking part brought back gut-wrenching memories of high school when at age seventeen I was asked to compete in a speaking contest in front of six hundred students. Sadly, I missed that event, as I was mysteriously ill with a very rare and debilitating disease that left me unable to speak. However, I miraculously recovered in time for school the next day. 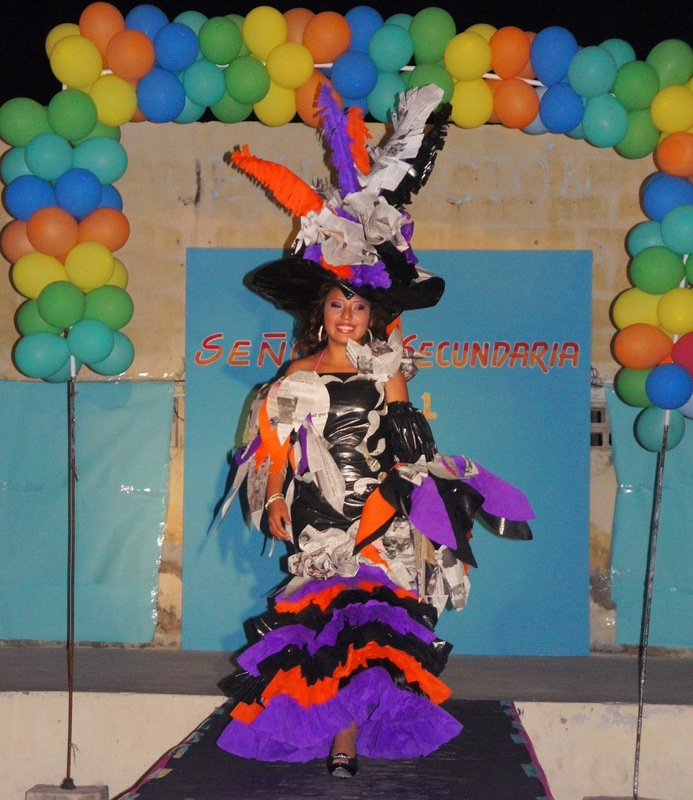 During the evening the candidates for “Senorita Secundaria” were judged in five categories; the runway walk was worth 5%, the dresses created from recycled materials 10%, the musical performances 10%, the question and answer period 10%, the final speech 15%, and the final 50% of the mark was based on how much money each candidate raised towards the building of a new classroom at the school. The amount of money collected made a big difference! Our favourite, Mindy Poot, came in third. Drat! However her big brother Tony Poot says she’s okay with that, as she knows she performed well and did her best. Again, such confidence and poise. Most 13-year-old girls would have been a weeping mess of tears to lose after such a stellar effort. Mindy currently wants to be a television or radio personality when she is finished her schooling – and we think she’d be perfect. The We Move Forward 2012 Team is kicking off an exciting and fun promotional contest called Wave to Win! The contest offers contestants several ways to enter to win a We Move Forward 2012 prize package, which includes (among other things) a free ticket to the event – valued at $645. The contest entry methods range from the simple – registering for the new We Move Forward 2012 Blog – to the more complex, such as submitting a video about why you want to attend this amazing 3-day International Women’s Day event on The Island of Women. Check out the We Move Forward 2012 website today and learn more about how you can Wave to Win! Wow! Mindy's adorable! I'm shuddering just thinking of the awkward photo of me at the same age I just unearthed. That's also a cute photo of all her supporters! We'll drop by sometime soon to get our Odd and Missy fix! Previous PostPrevious Would you like a little salt with that? Next PostNext Valladolid – The Colourful "Sultaness of the East"